TCS3200 GBB Color Sensor For Arduino is a complete color detector, including a TAOS TCS3200 RGB sensor chip and 4 white LEDs. 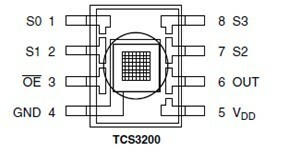 The TCS3200 can detect and measure a nearly limitless range of visible colors. Applications include test strip reading, sorting by color, ambient light sensing and calibration, and color matching, to name just a few. The TCS3200 GBB Color Sensor For Arduino has an array of photo detectors, each with either a red, green, or blue filter, or no filter (clear). 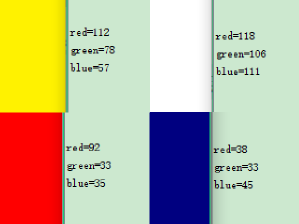 The filters of each color are distributed evenly throughout the array to eliminate location bias among the colors. Internal to the device is an oscillator which produces a square-wave output whose frequency is proportional to the intensity of the chosen color.